You are looking at a professionally sampled synth library that has been carefully engineered and shaped in the style of today's Dirty South Hip Hop music. 160+ freshly constructed samples, ranging from strings, stabs, synths guitars and additional bonus drums are included in this kit, making it perfect for triggering on your midi controllers or drum pads. * 160 individually recorded sample sounds in style of Hip Hop & Crunk music! * Includes a variety of strings, stabs, synths, guitars, bass, atmospheric effects & lead synths! 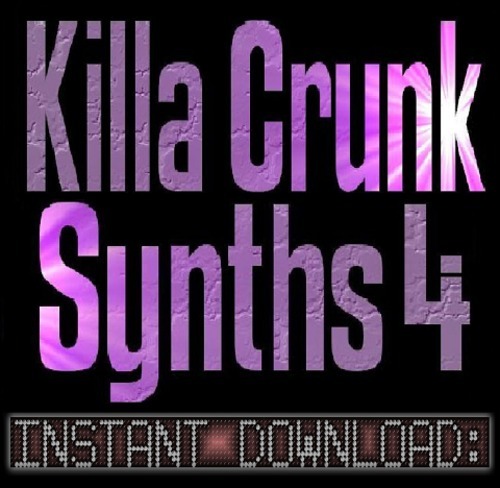 * Compatible with most hardware and software sequencers that support a 16bit .wav format! * Sounds comprised of one-shot samples, perfect for triggering on your midi controllers! * Multiple effects such as reverb and delay added to some of the sounds! Steinberg Cubase, FL Studio, Ableton Live, Propellerhead Reason, Sonar, Acid Pro, Native Instruments Battery, Wave Lab, Sound Forge, Logic Studio, Pro Tools, Halion, Contact, Adobe Audition, Sample Tank Recycle, Kontakt. Akai MPC 500, MPC 1000, MPC 2000XL, MPC 2500, MPC 4000, MPC 5000, Roland MV 8000, MV 8800, Roland Fantom, Yamaha Motif, Korg Triton, Ensoniq ASR-10, Roland SP-303. Are Your Sounds Royalty Free? beats or audio tracks without being required to pay us royalties for any sales and/or profit you may receive as a result of using them in your music. What Can't I Do With Them? You are not permitted to resell, redistribute our sounds with the intent of making a profit. You are also not permitted to upload these sounds to any website, webpage, file-share site or torrent site with the intent of allowing for for free distribution.